Imagine a desert and moutain wilderness a mere hour drive from the sprawling Phoenix tangle of freeways, walled subdivisions and 3 million people. 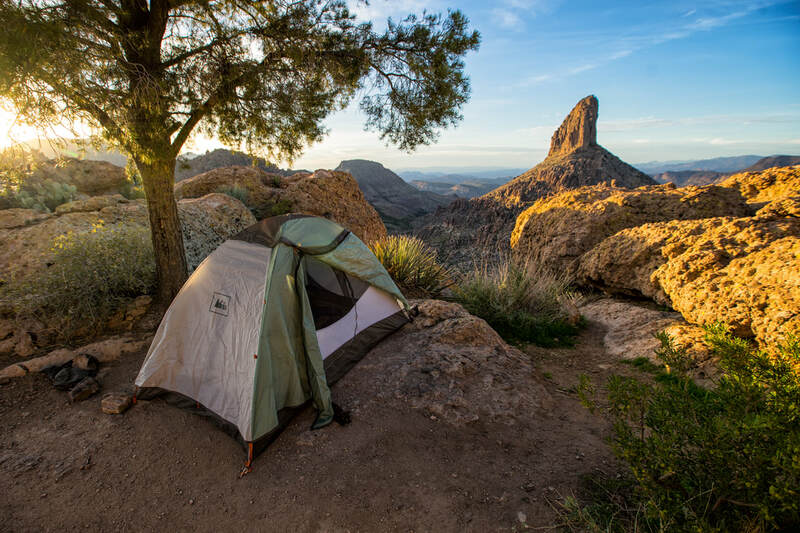 Imagine the Superstitions, a refuge for tens of thousands of those urban residents to get away, find solitude and enjoy the beauty of the Sonoran desert. 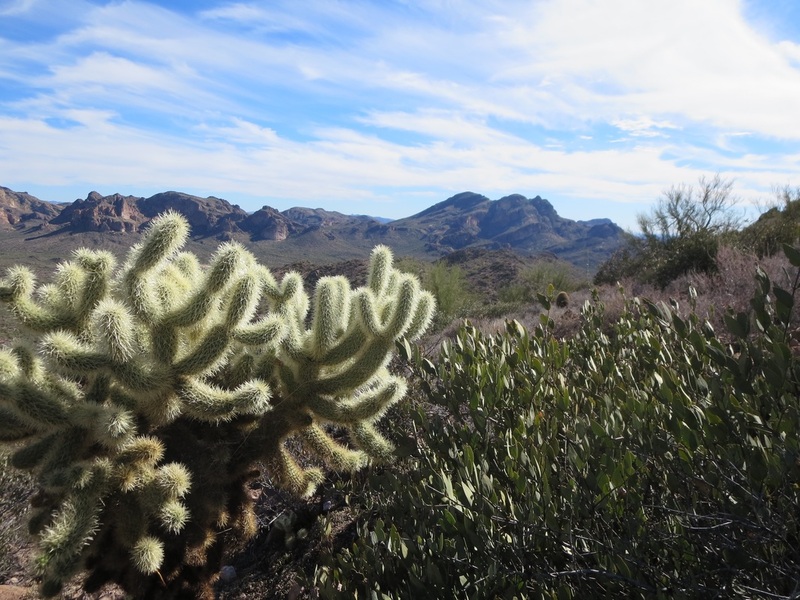 The urban escape of the 160,000-acre Superstition Wildnerness Area is certainly well-loved. Many parts of it are well-traveled on weekends, but there are lots of trails and backcountry destinations for daytrippers and overnight hikers. You can get away and see few fellow hikers and a fair amount of wildlife. suitable for Peralta Road. 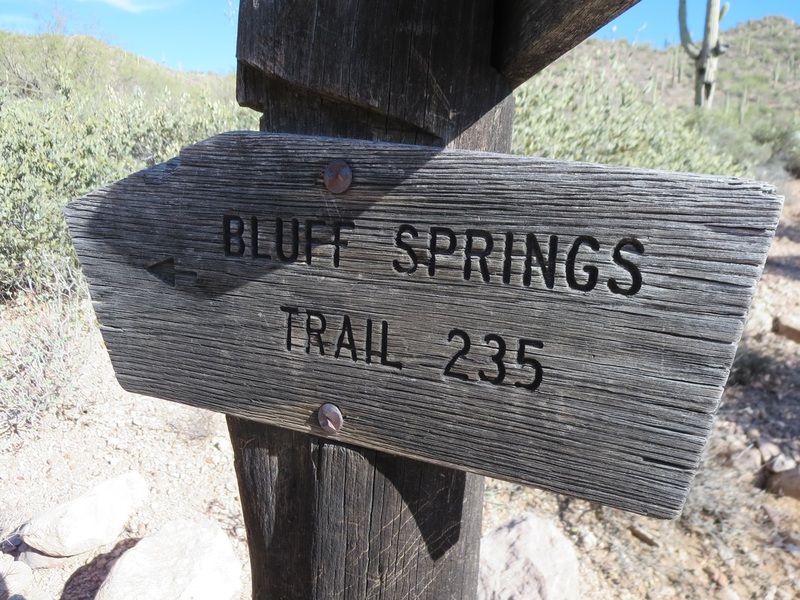 The Peralta, Bluff Springs and Dutchman trails take off from this location. 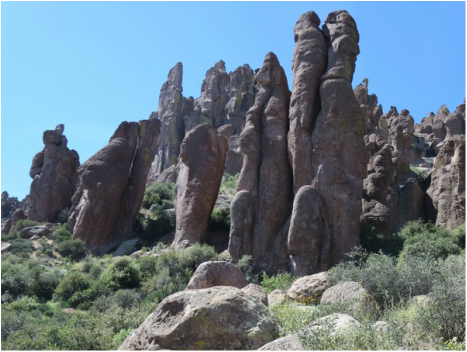 The Tonto National Forest, which manages the Superstition Wilderness Area, lists 46 trails and 170 miles of trail. 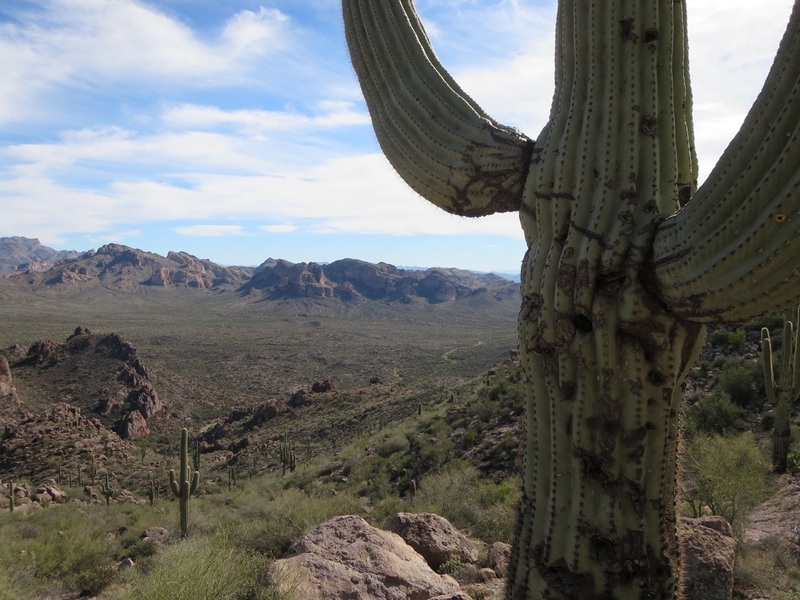 Lost Dutchman State Park north of Apache Junction on State Route 88 is a more developed option for a Supes visit. There are 134 campsites that go for $15 to $30 per night, with sites available through advanced reservations. The park also offers programs for bird-watching, stargazing and guided moonlight hikes. 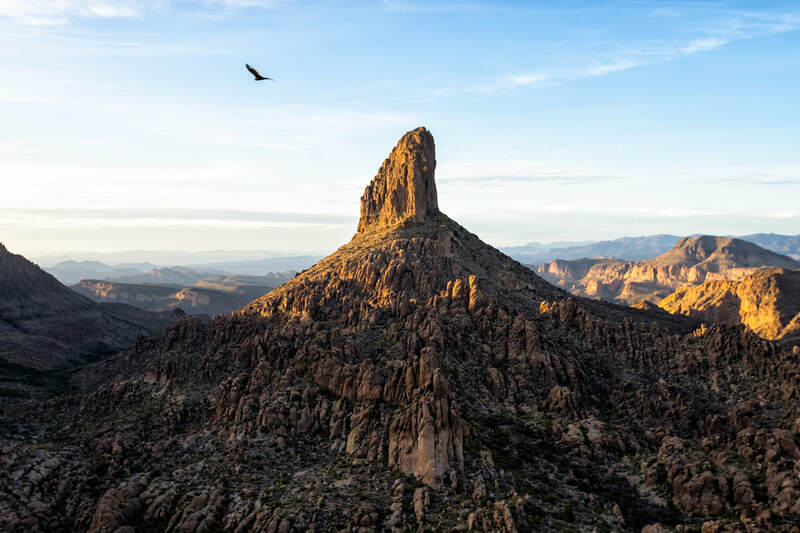 The Lost Dutchman name refers to Jacob Waltz, actually a German immigrant, who prospected in the Superstitions. According to the lore, Waltz disclosed the existence of a rich vein of gold on his deathbed in 1891. Treasure seekers have been hunting for it -- in vain -- every since. A towering saguaro is front and center in this view from Bluff Springs Trail in the 160,000-acre Superstition Wilderness Area. 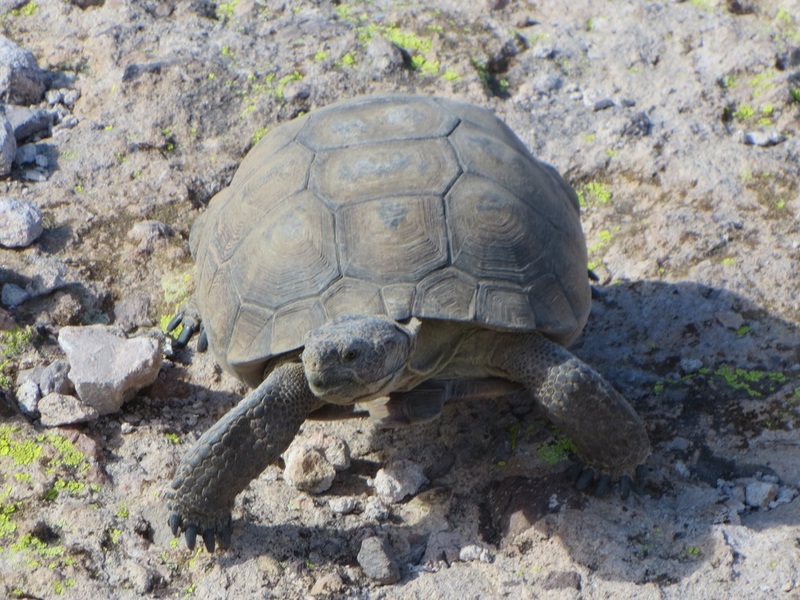 A desert tortoise blends in with the rock. Hikers can explore 170 miles of trails on 46 different routes.